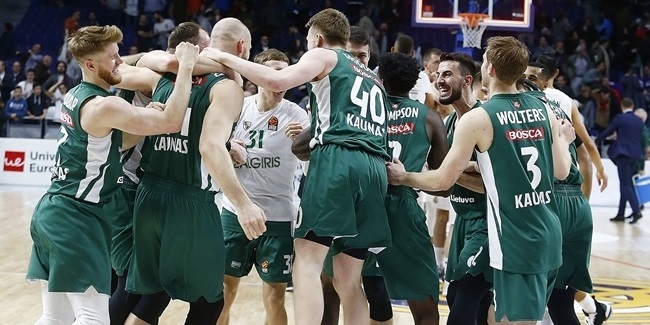 Zalgiris Kaunas came into its Round 26 game three wins outside of the playoff zone and playing a team directly in front of it in the standings that was also welcoming back one of its key players from injury. The Lithuanian champs focused on what they could control and took care of business in an 85-79 victory over FC Bayern Munich and then saw all the results after go their way. Many players made important contributions, both big and small, for the winners. Zalgiris started slowly, but Brandon Davies took charge in the second quarter to fuel his team to a 48-35 halftime advantage. Davies thrilled the sold-out crowd with three dunks among his 10 second-quarter points. He finished with 16 points. Marius Grigonis scored 5 of his 18 in that quarter, which was 1 less than his career high. Grigonis's efforts drew praise from his coach after the game. 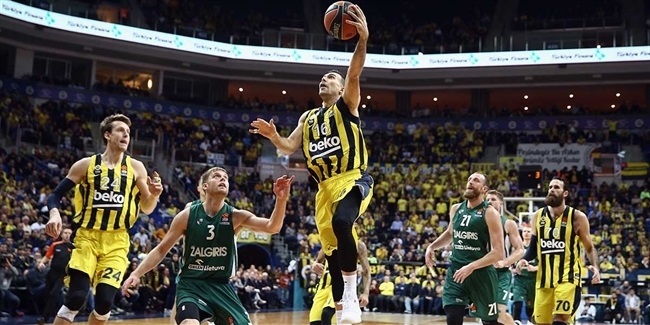 "Marius is having a great second part of the season, there is no question about that," Sarunas Jasikevicius said. "He is understanding the system and now, things are a little bit slowing down for him, and he is seeing things more clearly." Leo Westermann contributed 12 points on 4-of-6 three-point shooting, 5 rebounds and 4 assists in a fine all-around effort in just his third start of the season. The regular starter, Nate Wolters, returned from injury, which is also promising news. The point guard only featured for 8 minutes after missing three games, but having him in the rotation next week could go a long way when the team plays two crucial games in a span of 48 hours. Zalgiris fans now have several reasons for optimism. The team's remaining schedule isn't easy, but it does include games against two of the teams it is chasing for the final spots in the playoffs – Maccabi FOX Tel Aviv and Olympiacos Piraeus. In between those road fixtures, Zalgiris hosts last-placed Darussafaka Tekfen Istanbul. 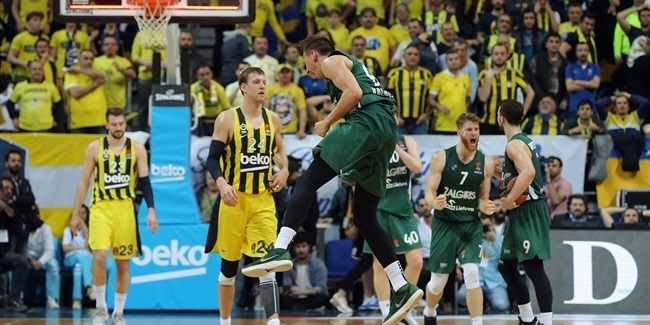 Getting to the playoffs is still quite a mountain to scale, but after last season's remarkable run to the Final Four in Belgrade, the players, management and fans at Zalgiris know that nothing is impossible if you want it bad enough and fight hard enough. Zalgiris is getting ready to do just that.